Northshore Concert Band (NCB) is a 100-member symphonic band active in the Chicago metropolitan area. 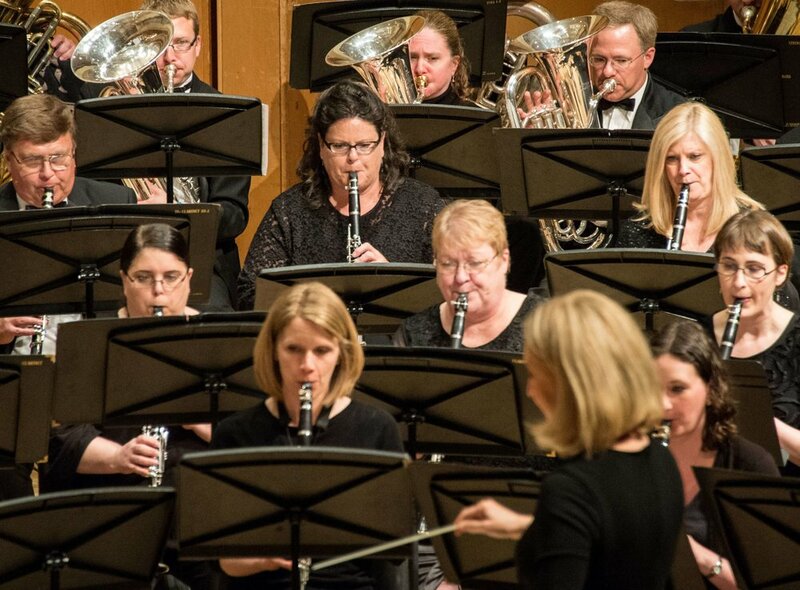 Founded in 1956, Northshore Concert Band is internationally known and respected for its musical excellence, leadership in community music, and commitment to music education. The band’s musical leadership is provided by Dr. Mallory Thompson, Artistic Director, and Daniel Farris, Assistant Conductor. The band performs 10-12 concerts per season, including four subscription concerts at Northwestern University’s Pick-Staiger Concert Hall. Additional concerts include outreach concerts to local schools, a series of community concerts in the summer, and the annual Festival of Music. Its membership is diverse, including individuals from all walks of life. Many music teachers call NCB home, along with lawyers, accountants, consultants, administrative professionals, and more. A significant portion of the members have performed with the band more than 10 years. Highlights of Northshore Concert Band’s distinguished history include being the first group to receive the John Philip Sousa Foundation’s Sudler Silver Scroll, performance and clinician appearances at the Midwest Band and Orchestra Clinic, and countless performances at band festivals and conferences throughout the United States and Europe. The band has hosted renowned guest artists including: Dale Clevenger, Larry Combs, Adolph “Bud” Herseth, Christopher Martin, Wynton Marsalis, Gene Pokorny, Allen Vizzutti, and William Warfield. Additionally, the group has appeared under the baton of many prominent conductors including: Eugene Migliaro Corporon, Frederick Fennell, Karel Husa, Donald Hunsberger, H. Robert Reynolds, and John Whitwell. Northshore Concert Band has commissioned eleven new works for wind band and has released seven studio recordings. The band is the subject of Dr. William Carson’s On the Path to Excellence: The Northshore Concert Band, Paynter, Buehlman and Beyond, and is heard regularly on the WFMT radio network. To make a substantial contribution to musical life locally, nationally, and internationally. To give our audiences memorable experiences with the highest quality wind music in a wide range of musical styles. To foster and promote wind music and the adult band concept through concerts, conferences, tours, recordings, publications, and commissions. To assist in the music education of young people—the future generation of adult musicians— through the presentation of concerts, clinics, festivals, and scholarships. To provide our members with an opportunity for musical expression, growth, and fellowship.